Last night, via DVD, I tripped back in time to 1988 in Cambridge, Mass., to watch the Blake Babies hold court at Nightstage, one of the Boston area’s top live-music venues at the time. The band, for the uninitiated, is an idiosyncratic, poppy delight – one of the greatest acts of the late ‘80s to never break through to popular acclaim, if you ask me. They formed in 1986, released a handful of eccentric four- and five-star albums and EPs, including the classic Sunburn, and went their separate ways in 1991. They’re most known, today, as Juliana Hatfield’s first band. That may not be fair to the other two members, guitarist John Strohm and drummer Freda Love, or occasional member Evan Dando, but it is what it is. Juliana sang lead on most songs and wrote much (though not all) of the lyrics and music. What can be said? They are her and she is them, though not really. – before disbanding again, though Juliana and Freda worked together as two-thirds of Some Girls. 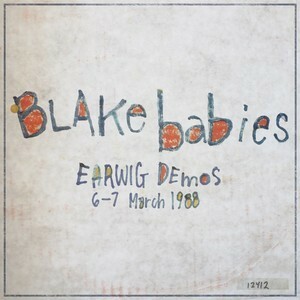 Anyway, earlier this year, the Blake Babies set up a PledgeMusic project: demos from Earwig, their earworm-laden second album. The demos are a godsend; the sound is clean, the songs are sublime, and Juliana’s vocals are, in turn and sometimes all at once, vital, vulnerable and venomous. The DVD, a premium, contains two shows (one from ’88, the other from ’87) that were apparently recorded by a cohort with a camcorder. It has all the markings of many of the fan-generated videos uploaded to YouTube, including mine, and the sound is far from optimal. And, yet, the negatives rarely matter – you feel like you’re right there, in the audience. So, for today’s Top 5: Blake Babies. Not their five best songs, as selecting those would be an impossible task, but two of their official videos and a few cool, fan-generated clips.